We made these irresistible Ham and Cheese Sliders yet again when we watched the Super Bowl. 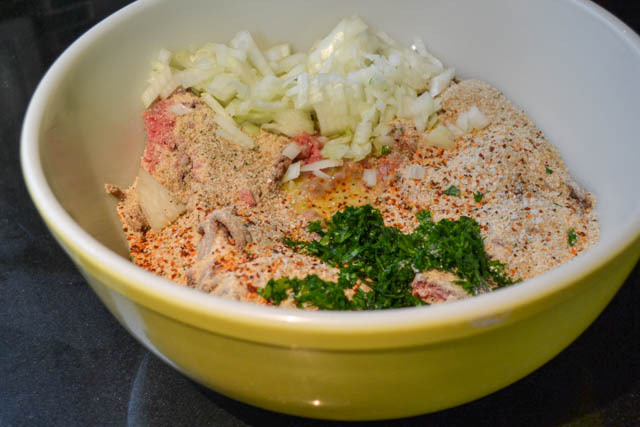 These are one of our favorite things to eat. Super simple and super good. 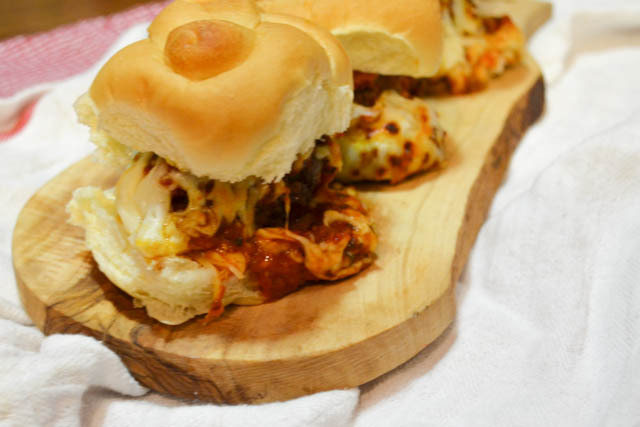 What’s better than a warm mini sandwich with some ooey gooey cheese topping off some meat? I think it’s just the perfect kind of snack for for watching sports or serving at a party or even for dinner. So what did I decide to do? Make more sliders for dinner recently that involved yummy flavorful meat covered in ooey gooey cheese. Yep! This time I made Meatball Sliders. 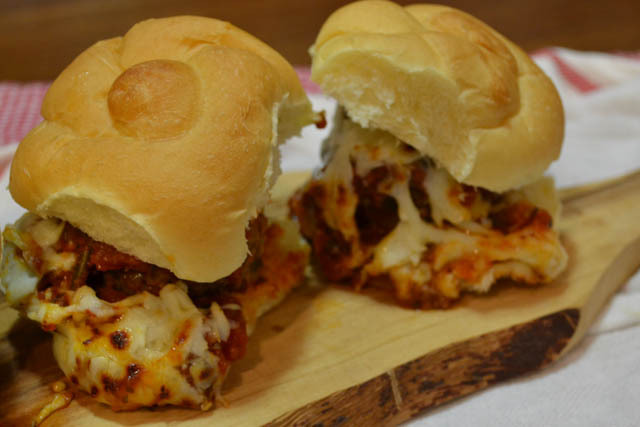 Meatball Subs are great but there is just something cute about having the meatballs served in sliders. Well, I don’t know if cute is the right word, but definitely fun to eat this way. My dad was up in December for a visit to meet Autumn and help us out by stocking up our freezer with some of our favorite dinners. Of course Mr. I-talian made amazing meatballs and marinara sauce. That big batch is long gone now but I have been thinking about making more recently but haven’t found time. Instead of making a big batch of meatballs and sauce I decided to change it up and make some meatballs for these sliders. 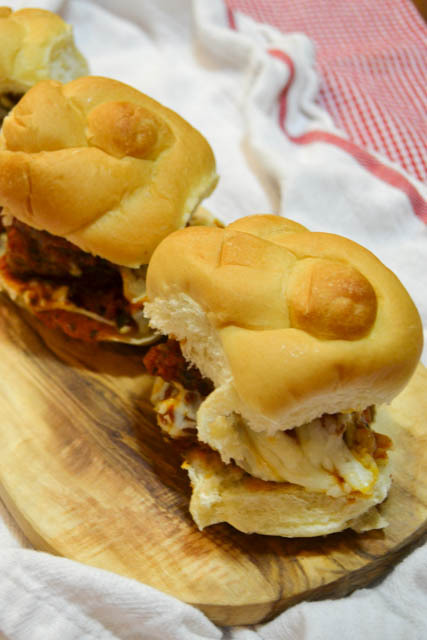 These meatball sliders are perfect for any occasion as they are quick to whip up and a crowd pleaser. 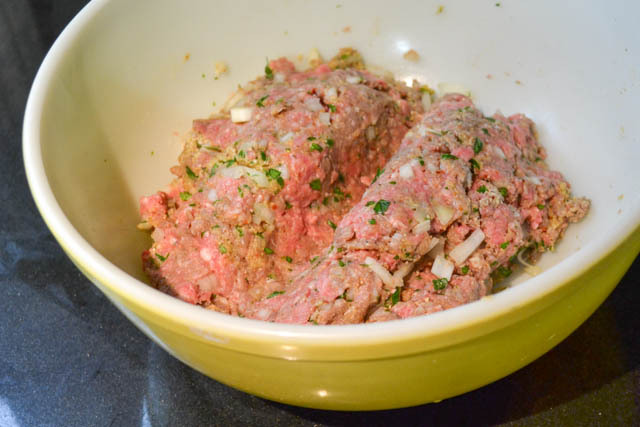 Combine the ground beef, beaten eggs, breadcrumbs, diced onion, parsley, and seasonings together in a large bowl. 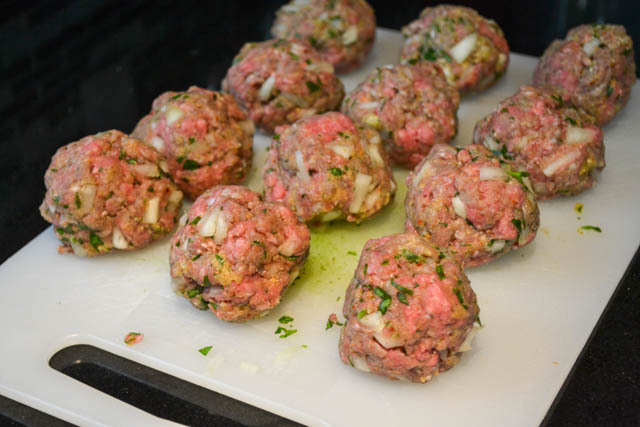 Form 12 equal sized meatballs. In a large skillet, heat the olive oil over medium heat. Once the oil is hot, brown the meatballs, in batches. 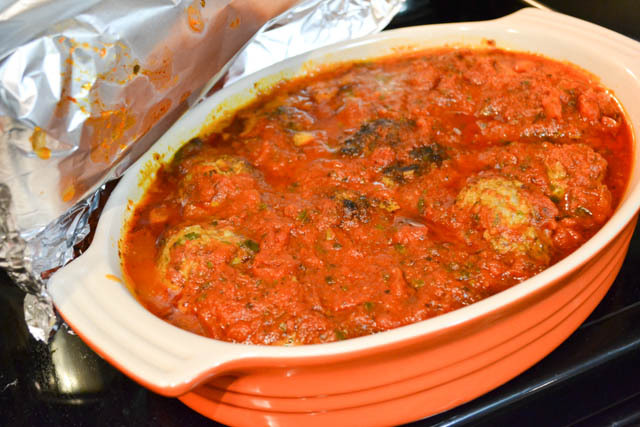 Once the meatballs are browned on all sides, place in an oven safe baking dish. 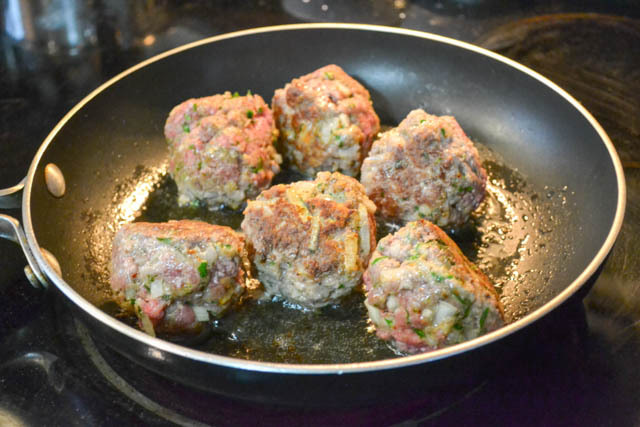 Pour the tomato sauce over the meatballs. Cover the baking dish with aluminum foil. 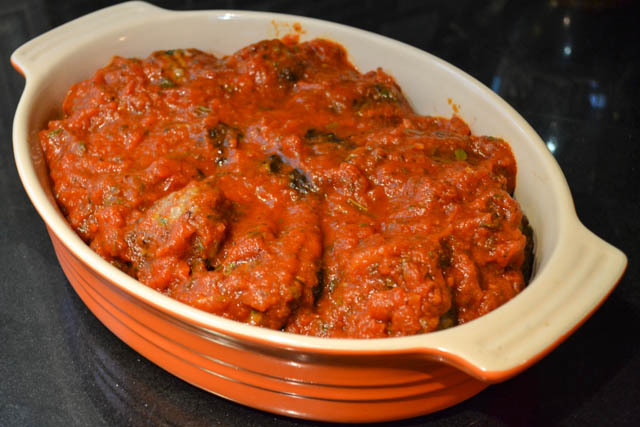 Bake the meatballs for 35 minutes. 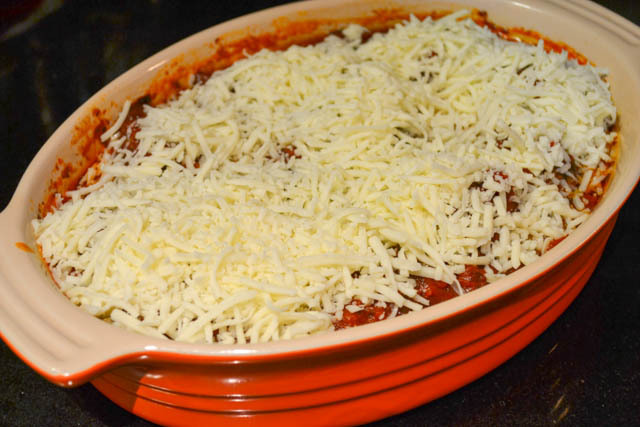 Remove the foil and add the shredded cheese to the top of the meatballs and place under the broiler until the cheese is completely melted. 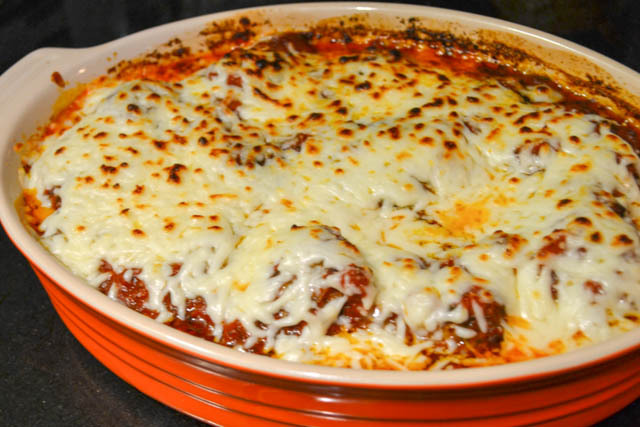 Split the rolls and place 1 cheese covered meatball in each roll to serve.